Are you thinking about starting a career in healthcare? Have you thought about becoming an Emergency Medical Technician? Labette Community College offers a course in EMT. Graduates of the EMT course are eligible to take the National Registry Exam to qualify for state certification. This is not a traditional class. This twelve (12) credit hour course is conducted with cooperation of Labette Health and Labette Health Emergency Services. 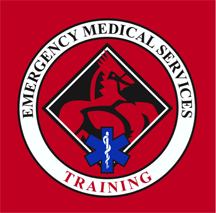 EMT training is governed by Kansas regulations and approved by the Kansas State Board of Emergency Services. The maximum allowable number of absences and make-up arrangements is two (2) class periods (8 hours). There will be no variance on absences. Options for making up missed class are limited, therefore this must be considered prior to applying if the schedule conflicts are known. This course is designed for individuals interested in providing medical care to patients in the prehospital setting. It will provide the participant with opportunity to gain information skills and attitudes necessary for certification and practice as an EMT in the State of Kansas. This course addresses information and techniques currently considered to be the responsibilities of the Emergency Medical Technician according to the United States Department of Transportation National Standard Curriculum and the Kansas Authorized Activities for the EMT. Download the application, print, fill out, and return to our Workforce Education, Career Training and Personal Enrichment office in the main building of the Parsons Campus, Room M203/204. Applications have postmarked due dates found in the application packet.